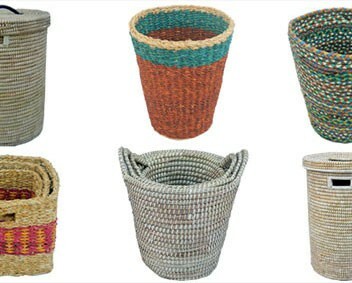 Intend BD Crafts uses a variety of natural fibers to craft its beautiful range of baskets. 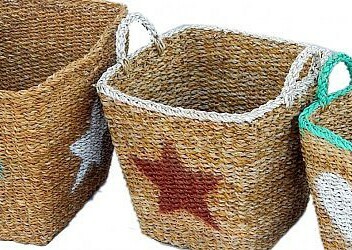 Jute and Seagrass are the main raw materials, which can be combined with recycled plastic and accents in leather. 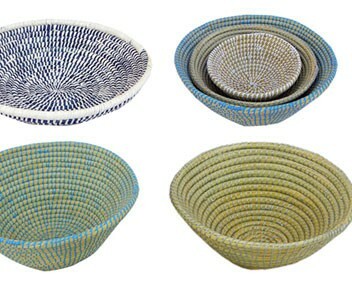 The collection ranges from baskets in the natural colors of the fibers to very colorful combinations with painted motifs. 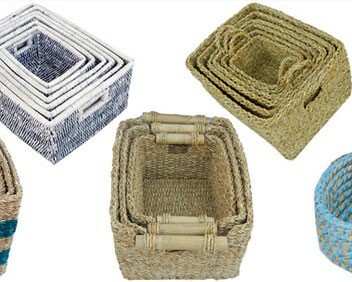 The company adheres to fair trade principles and keeps investing in the training and knowledge of its producers.